At Chester County Dental Arts, we’re dedicated to making the dentistry experience positive and stress free for every patient we treat. We know that the cost of dental care can be a major stress factor for many patients. That’s why our knowledgeable team members always take the time to discuss your treatment costs, so you can feel confident before moving forward. In addition to helping you budget for your treatment with upfront pricing, we will also offer accurate estimates of your available dental insurance coverage. 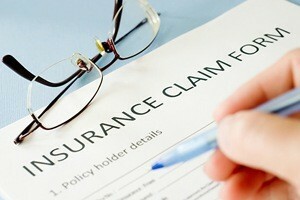 To make the most of dental benefits, we are in-network with a number of major insurance providers, including MetLife. If you want to learn more about your MetLife dental benefits or explore your insurance coverage from any provider, give our team a call. We’ll be happy to answer your questions and schedule an appointment time for you to come see us for all of your dental care needs. We will need to review your specific dental benefit plan in order to provide specific out of pocket costs and coverage percentages for your necessary dentistry services. However, most benefit plans will emphasize preventive care, offering the greatest amount of coverage for those services that will keep your smile healthy. Typically, MetLife policies offer 80 to 100% coverage for dental checkups, teeth cleanings, and other preventive dental care. 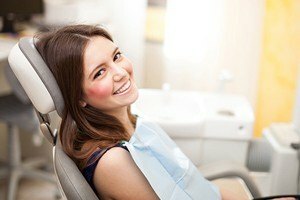 Minor restorative dentistry services like fillings receive 70 to 80% coverage, and more advanced treatments like dental crowns receive 50 to 70% coverage. Some MetLife policies do cover orthodontics, custom oral appliances, and other services, but we’ll need to review your plan and/or submit preapproval requests to ensure there are benefits available for these services. As an in-network provider with MetLife, we have agreed to charge fees that fall within your plan’s maximum treatment pricing. That means you only need to cover the out of pocket percentage of treatment costs. Out of network dentists can charge higher fees, but you’ll need to pay the difference. Typically, these additional costs are relatively low, but visiting an in-network dentist means this stress is taken off of your shoulders. Whether you have benefits with MetLife, one of our other in-network insurance plans, or an out of network provider, our team will do our utmost to ensure you have the lowest possible out of pocket costs. Please don’t hesitate to let one of our team members know if you notice pricing that’s higher than you expected. We’re always happy to help. When you call our team with questions about your MetLife dental insurance coverage, make sure to ask for Christina Kennedy Lawler. Christina is our practice manager and go-to dental insurance expert. She has worked in our dental office for nearly a decade, and she can answer all of your dental insurance questions quickly and confidently.